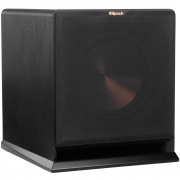 The Klipsch R-110SW 200W Powered 10″ Subwoofer is a must have addition to your home audio entertainment. 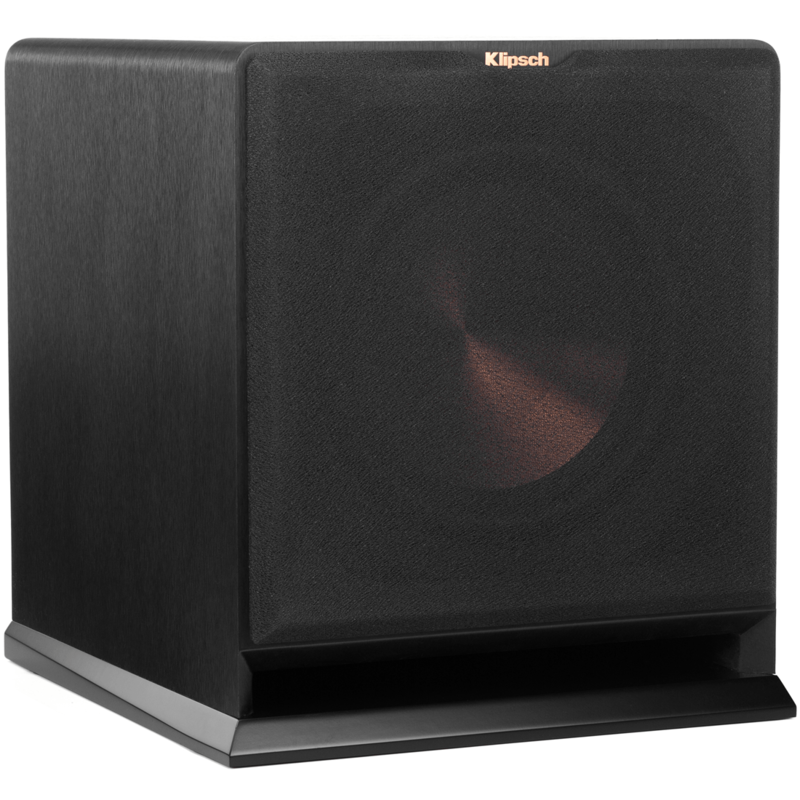 Ideal for high performance systems, this subwoofer provides clean, deep bass, letting you hear and feel your music and movies. 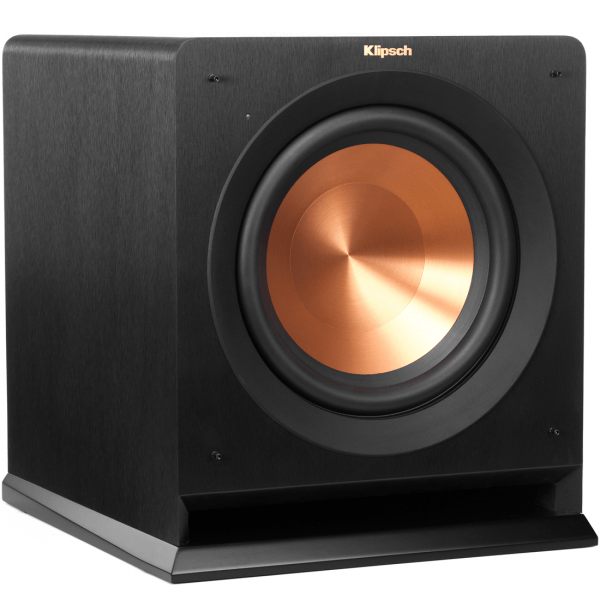 Add deep bass to your movies and music with the Klipsch R-110SW 10″ Subwoofer. This front-firing subwoofer features a 10″ spun copper cerametallic driver and delivers up to 450W of power. 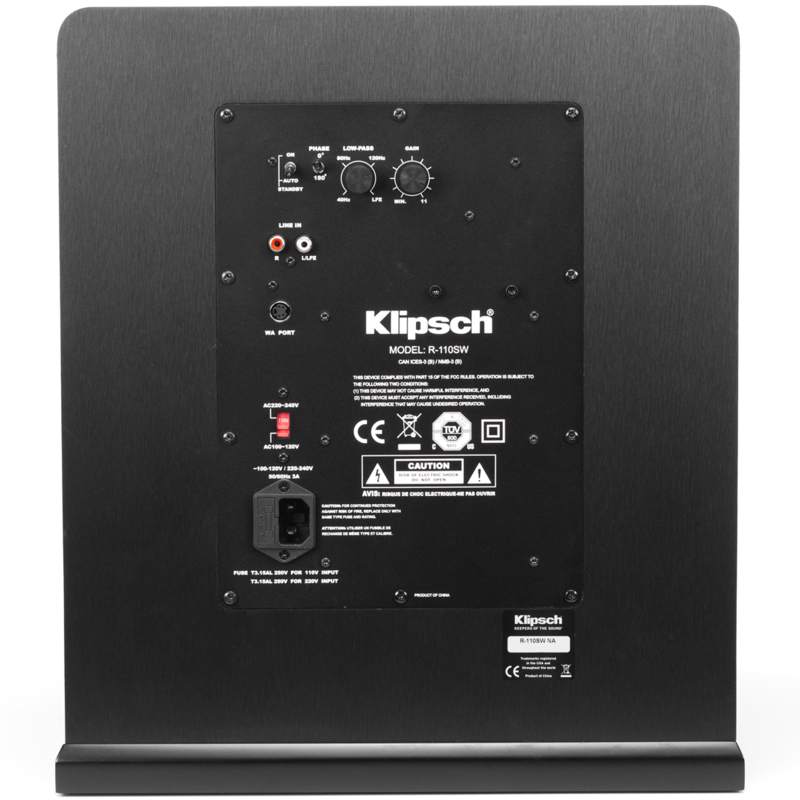 With a frequency response of 27 Hz to 125 kHz, this model is equipped to handle a wide variety of listening material. Integrated low pass crossover and phase control settings allow you to optimize the sound of the subwoofer in your listening environment. For installation flexibility, LFE and line level inputs are onboard. 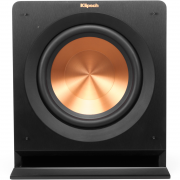 The Klipsch R-110SW has a cerametallic woofer’s lightness and rigidity that provides an enhanced low frequency response with minimal cone breakup and distortion. The front-firing design of the Klipsch R-110SW allows for placement flexibility and proprietary flared internal geometry reduces port noise for clean low frequencies with minimal distortion. The Klipsch R-110SW has a built-in all-digital amplifier to deliver high efficiency and enhanced reproduction accuracy. 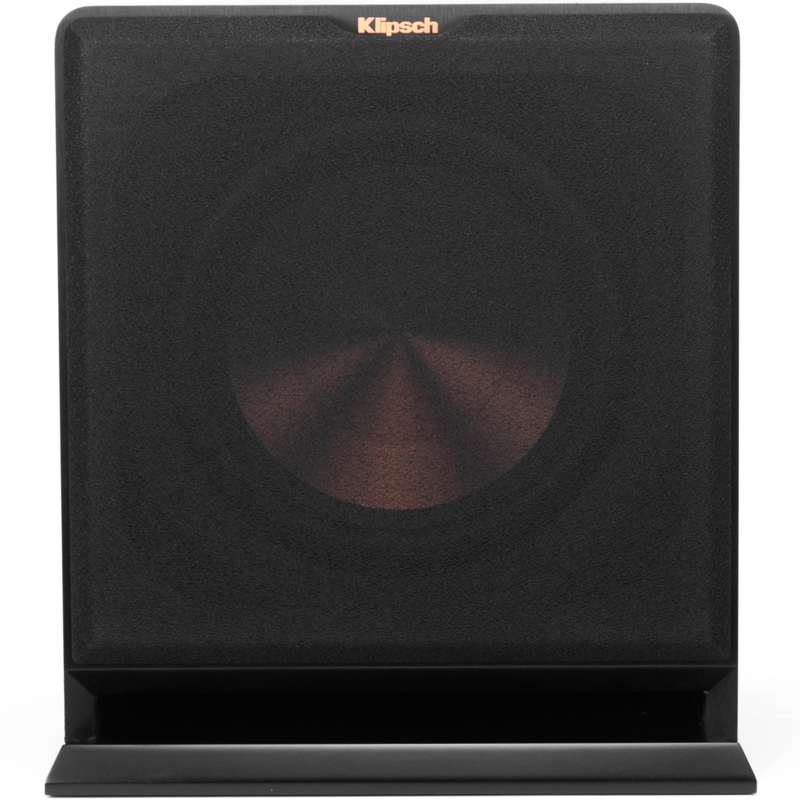 These settings allow you to blend the subwoofer’s low-frequency tones with other speakers to establish the ideal level of bass. Ensures compatibility with a wide variety of receivers. The subwoofer automatically enters standby mode after a period of inactivity. 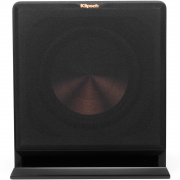 In standby mode, the subwoofer uses only 0.5 watts of power to conserve energy. 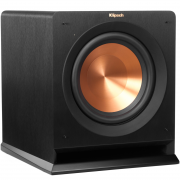 The Klipsch R-110SW features a WA port, accommodating the optional WA-2 wireless subwoofer kit. This transmitter and receiver pair let you place your subwoofer where you want without the need to run a cable from your audio source.